I love simple crafts that my girls can do themselves with very little assistance from me. This month’s #BostikBlogger craft theme is flowers. 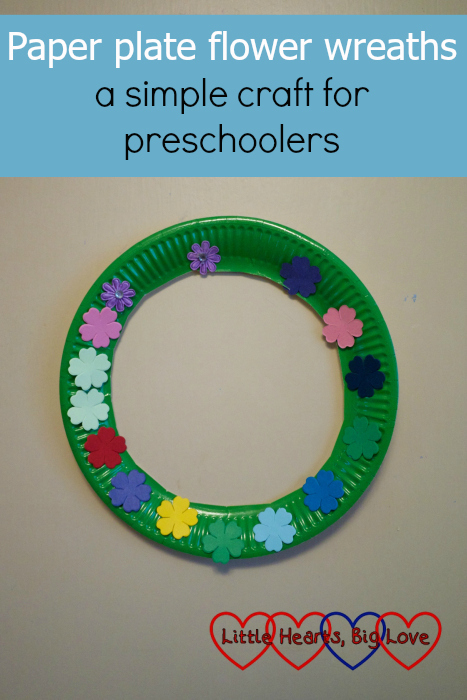 For our flower craft, we’ve been making paper plate flower wreaths. 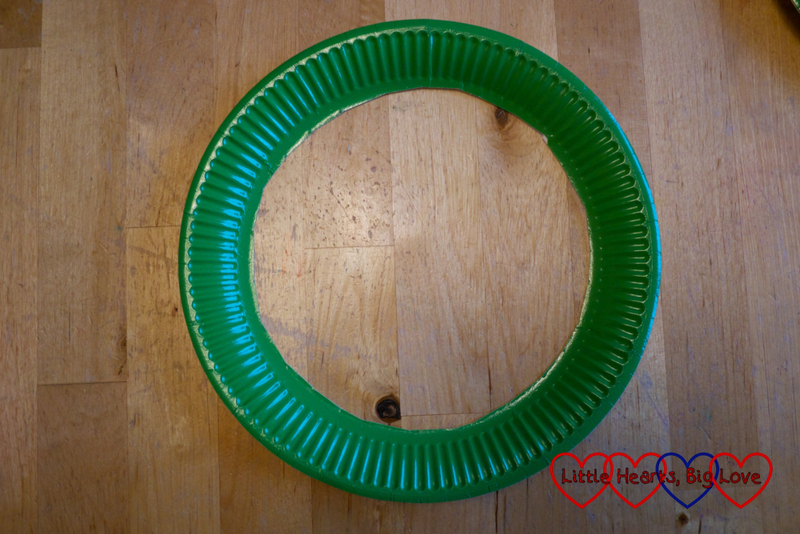 This is a perfect craft for little ones to do by themselves. The only part that my girls needed adult assistance with was cutting out the middle of the paper plate. 1) Cut out the middle of the paper plate, leaving the outside edge intact. We used a green paper plate but you could use a white one and paint it green. 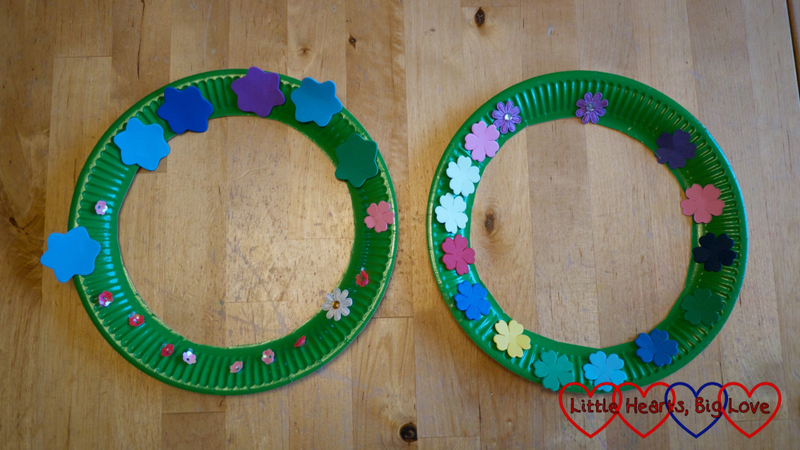 2) Use glue dots to attach flower shapes all around the edge of the paper plate. 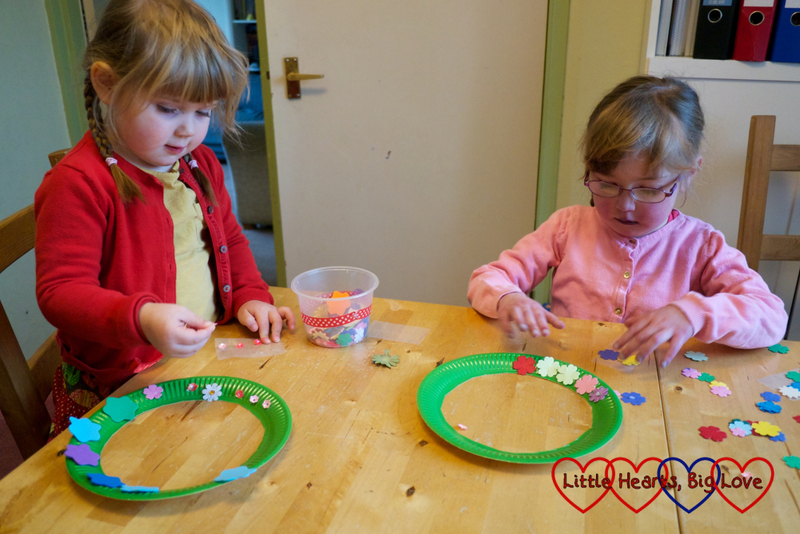 I loved the different approaches the girls had to making their paper plate flower wreaths. I probably would have completely covered the green rim of the plate had I been making it, but they left plenty of green space. Jessica used mostly medium-sized flowers whereas Sophie went for a mixture of flower sequins and medium-sized flowers.